*Special restrictions apply. Available on approved credit through Honda Financial Services. 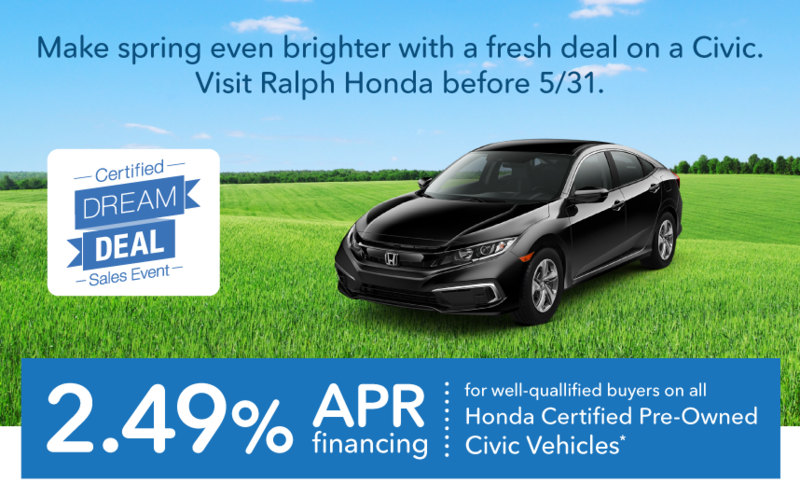 2.49% APR on 2014-2019 Honda Certified Pre-Owned Civic vehicles through 5/31/2019 for well-qualified buyers. Not all buyers will qualify. Higher financing rates apply for buyers with lower credit ratings. Dealer sets actual prices. See dealer for details.